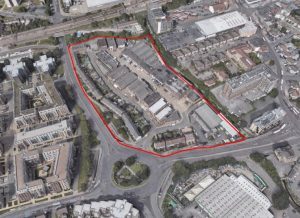 We invite you to contribute your views and ideas regarding the redevelopment of the Bridge Close Industrial Estate, including the terraced houses on Waterloo Road and Oldchurch Road. London Borough of Havering has entered into a joint venture with First Base and Savills Investment Management who control land within the Bridge Close Industrial Estate. 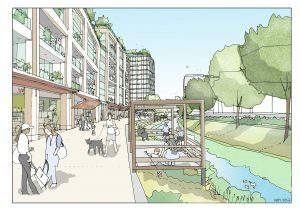 It is the joint venture’s intention to bring forward a mixed use development, providing new homes, a new school, health services and new jobs. In order to ensure that we thoroughly understand the aspirations and ambitions locally, please join us at a public exhibition on Saturday 29th September, from 10AM – 4PM, at Brewery Shopping Centre. This exhibition will set out a broad vision for the site and provide an opportunity for you to contribute your views and ideas. If you are unable to attend the exhibition and would like to find out more about the plans please contact a member of the project team via email at consultation@bridgecloseromford.com.